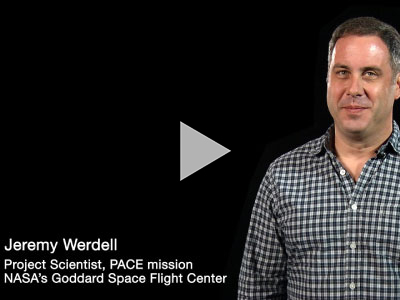 [07-Nov-16] Jeremy Werdell, oceanographer at NASA's Goddard Space Flight Center, discusses the importance of microscopic plankton in the global carbon cycle. With his colleagues, Jeremy is working to answer important questions about how much carbon dioxide the oceans are absorbing, and how that might change in the future. For the complete transcript, click here.